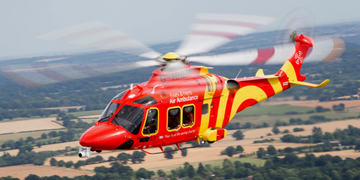 Schools and groups in Essex and Hertfordshire are welcome to visit our Visitor Centres and discover more about our life-saving work. There are two Visitor Centres, one is based at the Earls Colne Airbase, Colchester and the other at North Weald Airbase, Epping. 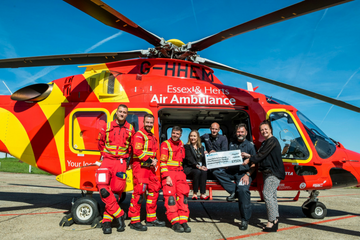 The tour at either Visitor Centre begins with a presentation introducing you to the work of Essex & Herts Air Ambulance (EHAAT). 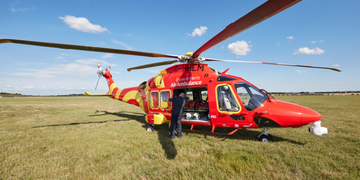 Afterwards we’ll be able to tell you information about when and why the Air Ambulance is dispatched, the hospitals we take patients to and how long it takes to reach to these locations. You’ll also get an insight into some of the lives we have saved and how much it costs to run the service. 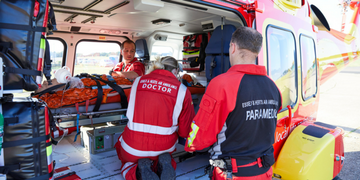 One of our team will be available to answer your questions, and subject to operational commitments, you may have the opportunity to speak to our Critical Care Team and see our Air Ambulance and Rapid Response Vehicles up close! Anyone wishing to arrange a visit, whether it be businesses, families, school groups or social groups will need to pre-book by using the form below. Please note we require four weeks notice minimum to arrange your visit. Please provide a selection of dates indicating if morning and afternoon sessions are preferred. Please note: we require 4 weeks notice minimum to arrange your visit. Do you have any other requirements or comments? If you replied other the above question, please specify where.